Federico Bozzano is an internationally renowned artist: a visual effects maestro who brings fantasy worlds to life on the big screen. Federico was born and raised in Milan, Italy. He earned a degree in art at the Istituto Europeo di Design, one of the world's foremost design schools. Industrial design courses taught him projection and prototyping techniques that, with his passion for engines, inspired his motorsports paintings. He has lived in various regions of Italy as well as other countries, enriching his artistry though different cultures and learning innovative new skills. But he is established in Milan, a major world fashion and design capital -- and headquarters of Alfa Romeo and Pirelli. His entry into cinematic visual effects began in 1998 with Oscar-winning director Giuseppe Tornatore, who used his painting to recreate New York in the 1940s with The Legend of 1900. A dream landscape followed in the 2000 movie Malèna, but things really took off in 2009. That year, Peter Jackson employed Federico to imagine the worlds in District 9 and The Lovely Bones. 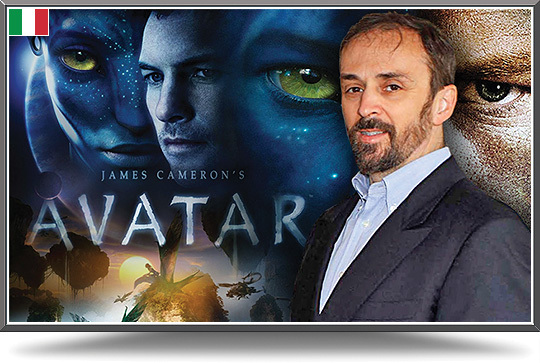 Then James Cameron used Bozzano's magic touch with scenes for his blockbuster movie Avatar. "Long experience with traditional painting techniques developed my sensitivity for composition, light, shadows, and colors that convey emotion and atmosphere. I then spent eight years perfecting the digital matte painting and model-making techniques used to create fantasy worlds and historic environments," he recalls. Federico now brings his cinematic magic to automotive art. He imagines extraordinary cars in extraordinary settings, creating scenes you would never see in real life. Federico works in both digital and traditional mixed media. We have added his motorsports paintings which have a looser, more impressionistic feel to them than the hyperrealistic digital techniques he applies to film-making. In other projects, he created a concept for the opening ceremony of the 2006 Winter Olympics in Turin, conceived futuristic scenes for the Milano 2015 event, and in 2010 painted the official commemorative poster for Alfa Romeo's centenary. Commission Federico to create a unique painting for you!